About Us: Dodoma City is located in the centre of the country (6°10’23’’S; 35°44’31’’E), 455 km west of the former capital, Dar es Salaam; and 441 km south of Arusha City, the cradle of the East African Community. It is also 259 km north of Iringa Municipality through Mtera. The City covers an area of 2,669 km2 of which 625 km2 is urbanised. Dodoma features a semi-arid climate with relatively warm temperatures throughout the year. Although average maximums are consistent throughout the year, average minimums drop to 13°C in July. The average annual precipitation is 570 mm, most of which occurs during the wet season between November and April, with the remainder of the year comprising dry season. The University is located about 8 km east of the city centre, and is accessible by public transport, which is easily available from the city centre. Given the central location of Dodoma, UDOM is strategically positioned to serve applicants around the country and specifically Government and private sector employees living in Dodoma, who hitherto could not find training opportunities in the area. Such employees can comfortably utilise UDOM to combine work and study for their career advancement. 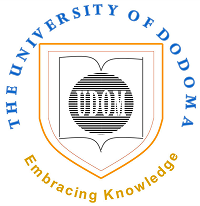 Additionally, the geographical location and Dodoma weather render UDOM a convenient place for international students.